Womens alpine jacket Jorasses WS Jacket by Karpos, optimal Goretex protection, ideal for ice climbing, winter mountaineering, ski touring. Ideal for activities involving a high level of physical exertion and extreme conditions in the mountains. Offering freedom of movement and excellent breathability, this is the perfect jacket for cold and difficult conditions. Ideal for taking on challenging walls and cold temperatures, including in the modern style, which favors the pursuit of speed and performance. With the new Gore Windstopper® LRR, the jacket provides outstanding protection for adverse weather conditions with snow, wind and rain. Ideal for ice climbing, winter mountaineering and ski mountaineering. 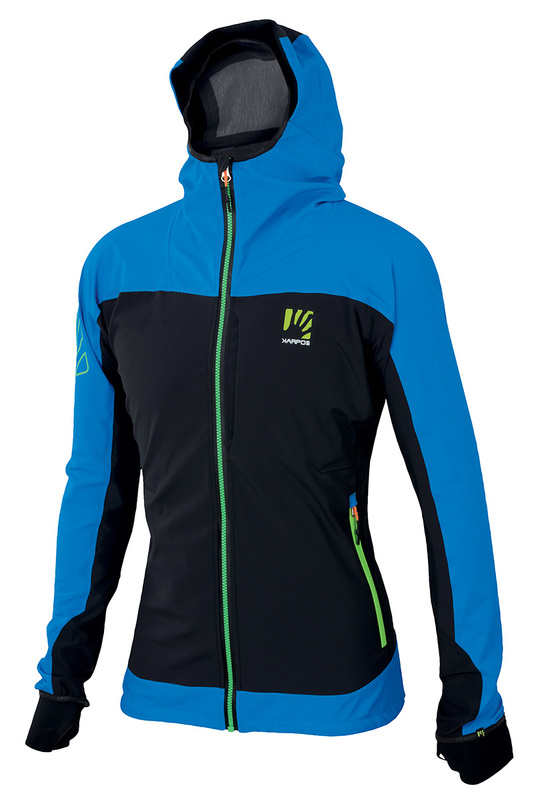 The shoulders, back and hood are made with Gore Windstopper® LRR (Light Rain Resistant), which provides excellent resistance to water and snow with maximum breathability during intense activity. The chest and back of shoulders are made with Gore Windstopper® with a durable ripstop texture that provides greater breathability and stretch, thereby improving the evaporation of sweat and enhancing freedom of movement. Both fabrics have a DWR treatment that repels snow, water and dirt from the surface of the garment. The seams are fully taped, resulting in an optimal jacket for snow or rain. The brushed fleec e on the inside of the Gore Windstopper® LRR fabric provides added warmth.